Shaquille O'Neal II Orlando Magic 1990's Starline Poster Original Sealed Rare! 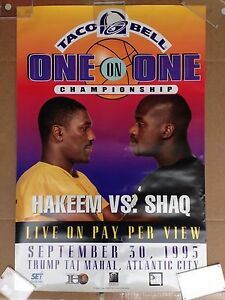 Shaquille O'Neal Orlando Magic 1990's Starline Poster Original Sealed Rare! stockviper has no other items for sale. Sales tax may apply when shipping to: CA*(10.0%), FL*(7.5%), GA*(8.0%), IA*, MN*, NV*(8.0%), NJ*(8.0%), OK*(9.0%), PA*(9.0%), TX*(9.0%), WA*.